Anyway.. Here's the plan... 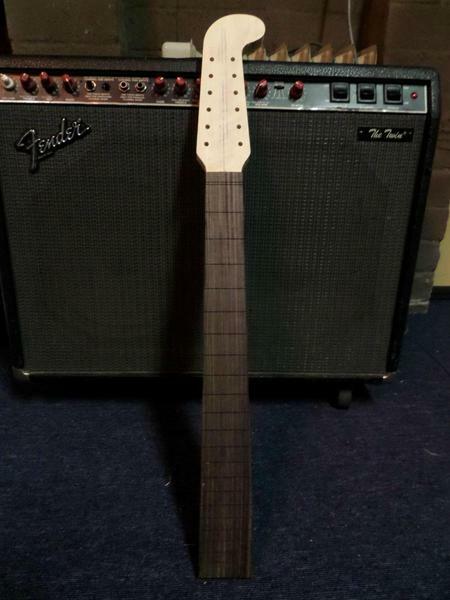 Body and guard from cooterfinger, 7.25 radius, 21 fret, with binding neck from cross, and paint by Rhoney. 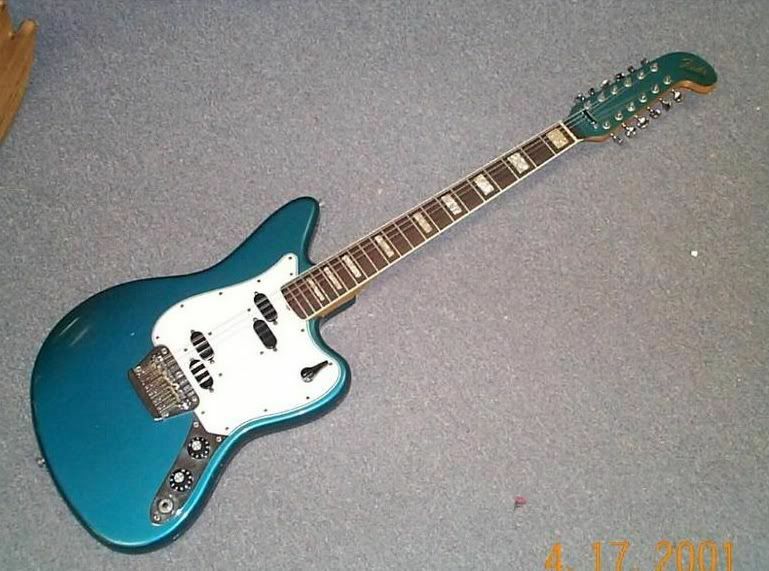 Same as my starcaster pretty much. I wanna go with OTM as the color too so I can match it. Plus that color looks great. 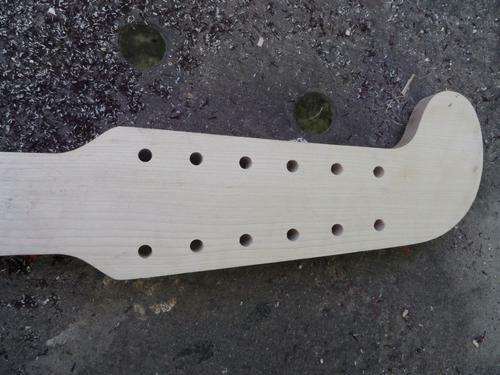 I'll be doing a matching headstock. Anyone know where to get a good quality xii logo? This is gonna be a slower build due to the cost it is gonna take to build it. Same as my starcaster or longer. But it will be sweet. Here's a few pictures of what I'm going for. Novak apparently makes a bit more tame xii pickup with less treble, worth looking into. Yeah. It's just the price I'm on the fence about. They're supposably exact replicas. Alright a Venus xii is 2 5/16 inch at the heel and 2 3/4 inch at the nut Which is weird. The original xii is 2 3/8 inch at the heel. Why would they make it one mark different? 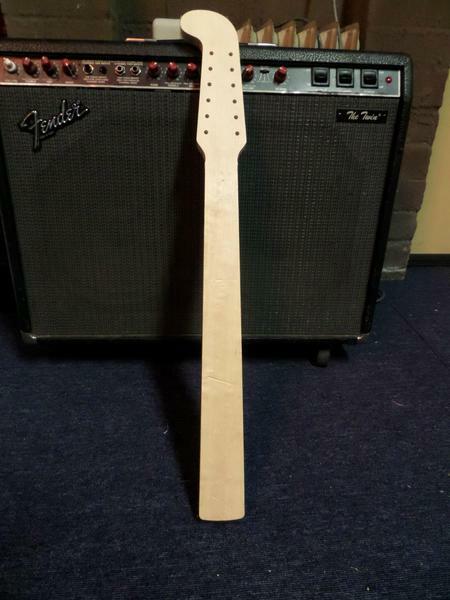 Should I just have a 2 3/8 inch neck made? Some cool info I found. Will help out when it comes to the body. Think I am gonna go with these tuners. Since the lefty fender F tuners are hard to get for the xii's and they don't stay in tune as well as grovers. They are Grover mini rotomatics. Unless anyone has a better idea. Forgot to post this. Template I bought from Rhoney. I gave it Cooterfinger as gift. So he can make them for everyone now. 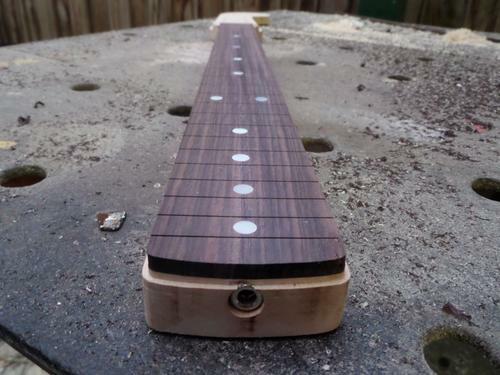 I've never had issue with the split shaft tuners, though keeping a 12 string in time can be a pain. 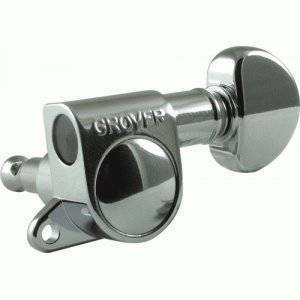 First thing I would do is find the lightest tuners you can, neck dive can be a pain with 12 tuners, I have 12 Grover's on my agile and you can feel the heft. Btw, any more word from grover on the pearl button reissues? These are the minis though. I don't know. I think the body will be heavy. 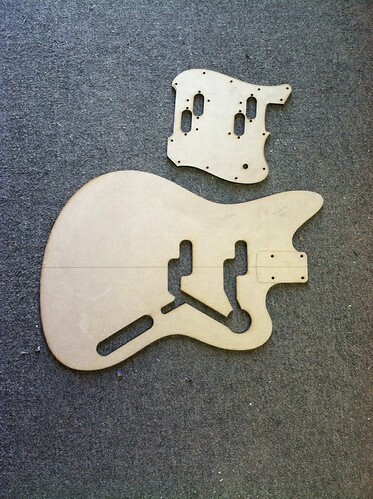 It will be a 3 piece alder. That's exactly what I mean with the toronado bridge when I posted that one thread a while back. What saddles are they? the gotoh ones? And he can do what up? The bridge? 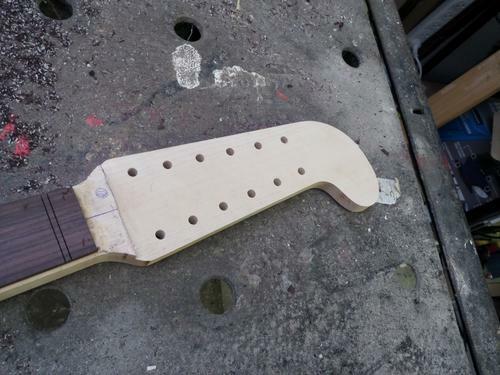 Gotoh saddles, and tony should have a template on hand for a xii pick guard with toronado bridge cut out it you decided to go that route. Oh nah. Cooterfinger would be able to do that. That's a really good backup plan right here. I'm not worried about the radius. I'm almost positive it is 7.25 for the venus xii. I'll he using a 7.25 radius neck. 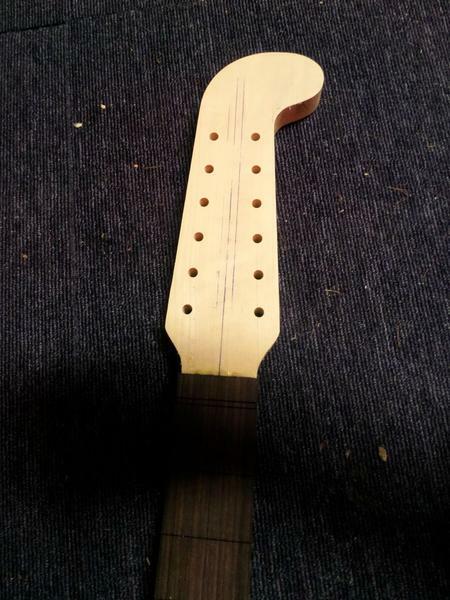 If the venus bridge turns out to be 9.5, it won't be a big deal on a 7.25 radius neck like a 7.25 radius bridge on a 9.5 radius neck would be. 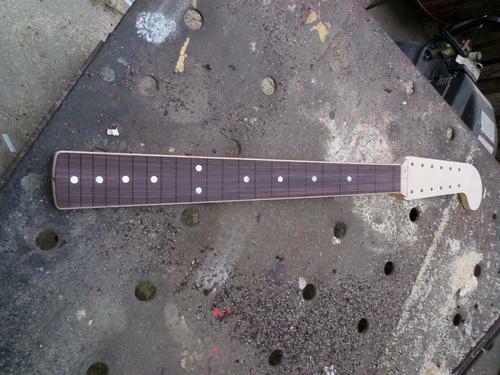 Next step: trim the fretboard to size, glue in the pearl dots then rout the binding channel. 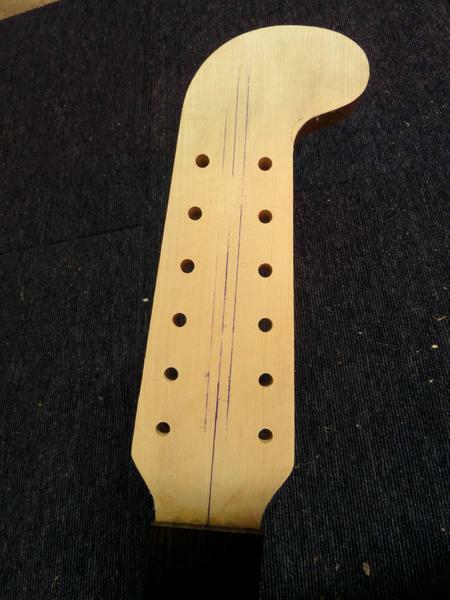 Next step: radius the fretboard to 7 1/4". Glue in the binding and scrape it to size. 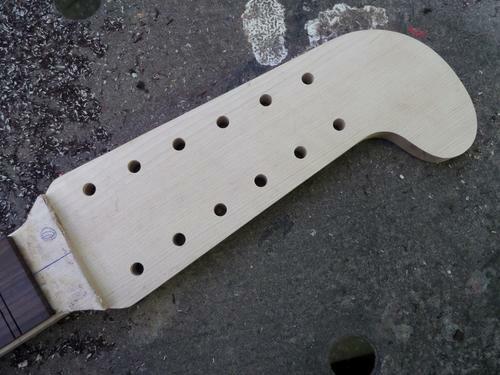 sand in the headstock to fretboard transition.